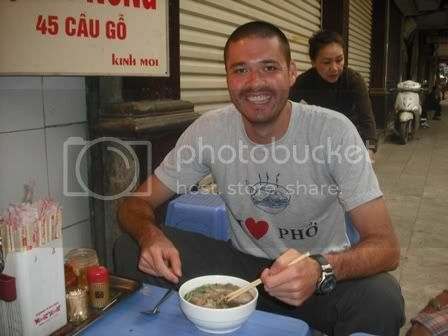 In my recent trip to Vietnam I made it a personal mission of mine to sample the various phở establishments across the country. I would step out from my accommodation each morning, pick a direction and then walk until I found a place that had a sign with the three magic letters, “Phở”. The Shangri-La Hotel in Sydney has unparallelled views of one of the most beautiful harbours in the world. It was only natural that its restaurant, Altitude should take advantage of this. I thought the food was good, but not great. I had the barramundi, while Louise had the lamb. She was a much bigger fan of her meal than I was. The view alone makes it worthwhile going however and I will definitely be back there soon. Next time I will try the degustation. If you ever get the chance, go to the Shangri-La, it truly is paradise. In many ways, Auckland’s Sky Tower reminds me of Sydney’s Centrepoint Tower – the comparisons are obvious. For one, they are both towers, and secondly they both have revolving restaurants. 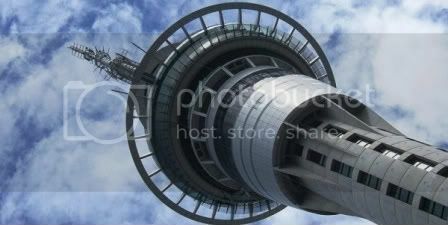 While visiting Auckland, I went to Sky Tower’s revolving restaurant, “Orbit” for dinner with Louise. I couldn’t help but compare it with Centrepoint’s restaurant called “360”, and I’m afraid to say 360 wins. Really what let Orbit down was the food, for an expensive restaurant I have high expectations, but I was disappointed that the lamb I ordered was dry and tough. Definitely not worth the hefty price tag. That said, it’s an awesome view from up high, especially when you’re caught in the middle of a rain cloud, that was an interesting experience.